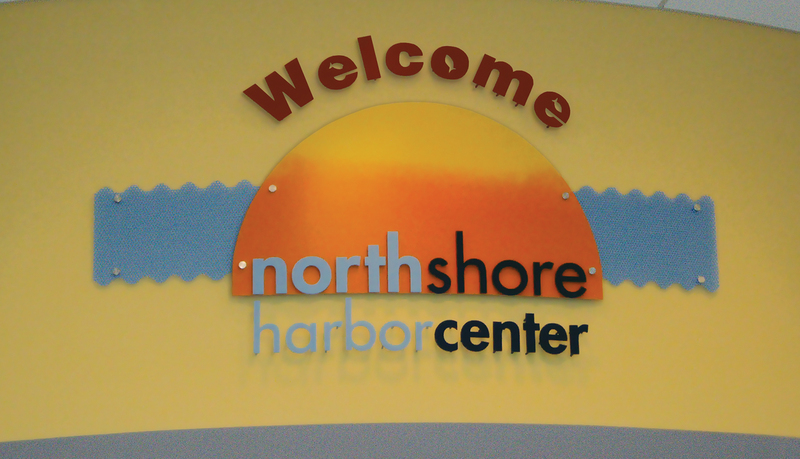 Northshore Harbor Center at Oak Harbor in Slidell, LA, is a 20,000 s.f. 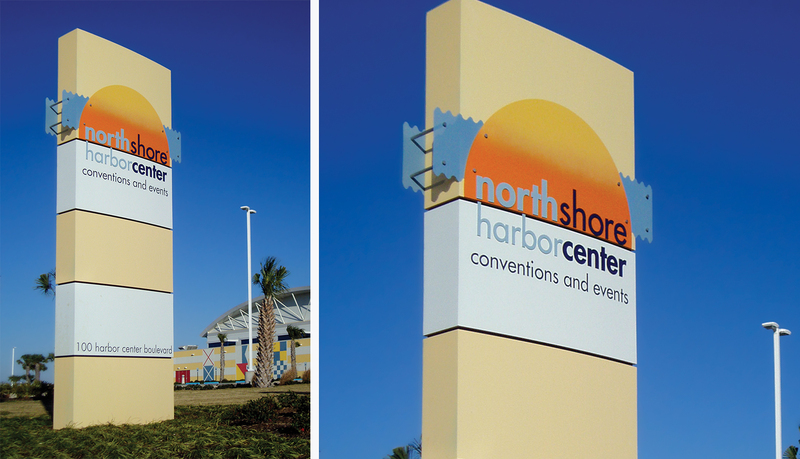 state-of-the-art exhibit space that serves the needs of the the Gulf South region for convention and meeting space. 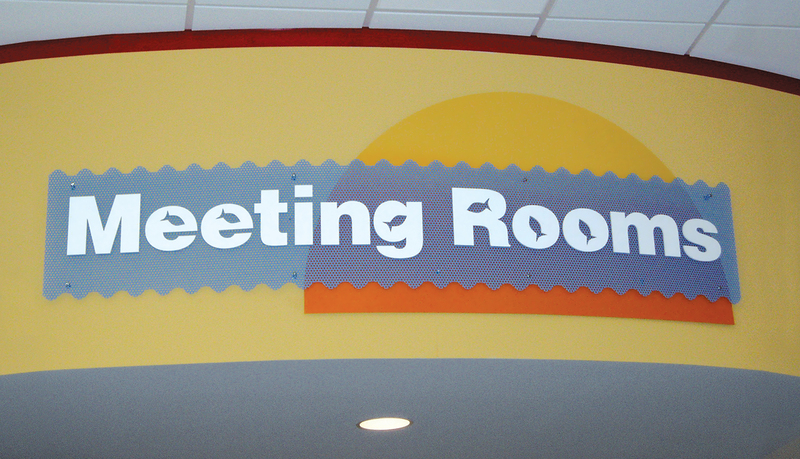 The Center includes a special performance and recital hall and meeting rooms designed for high tech teleconferencing. The facility was designed by Blitch/Knevel with a bold, nautically themed exterior, topped by a signature vaulted roof over the main exhibit hall. 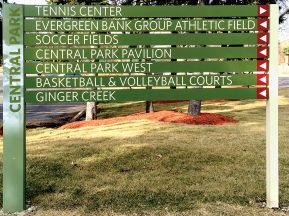 The Master Planning provides for multi-phased expansion on the site. ASI worked directly with its long-time client Blitch/Knevel Architects to take a highly-conceptualized custom interior and exterior signage idea literally from the drawing board and make it a reality. 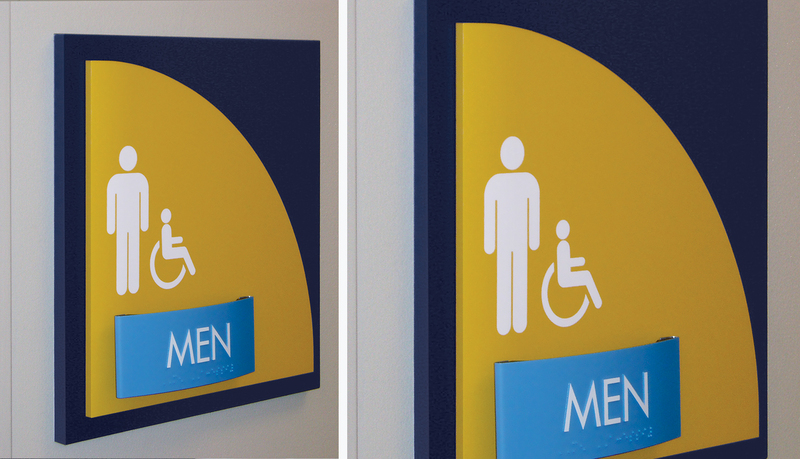 Blitch/Knevel Architects provided conceptual design ideas for the signage solution and relied on ASI to provide all products and service solutions, including: design and engineering documentation, sign permits, material sourcing, fabrication and final installation. 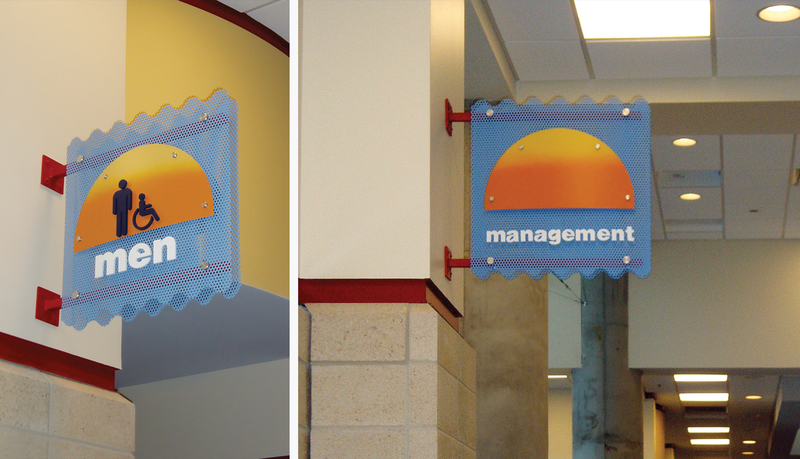 The multi-colored custom interior signage solution is constructed from perforated cold-rolled steel and custom acrylic letters and graphic elements. To compliment the nautical theme of the center, ASI integrated the shape of a fish in place of the opening of letter such as “a” and “o” on all the projecting and wall mounted signs. 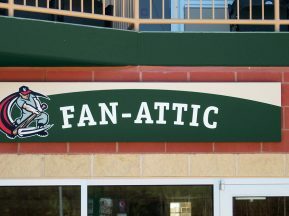 ASI also had to devise a custom paint technique to create the sunrise graphic consistently from sign to sign. 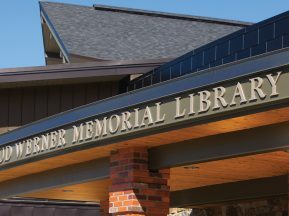 In addition to the interior signage, ASI also engineered, fabricated and installed a large custom exterior pylon for the center. 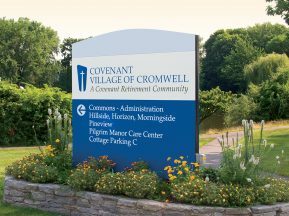 The large exterior sign rises 20 feet from the compacted ground and the foundation plunges 12 down to provide anchor support. The sign cabinet is constructed entirely of aluminum and aluminum letters, and the sign is illuminated externally by ground lights.